Home with carport recently built by an expert US builder on the lake in Nuevo Arenal. 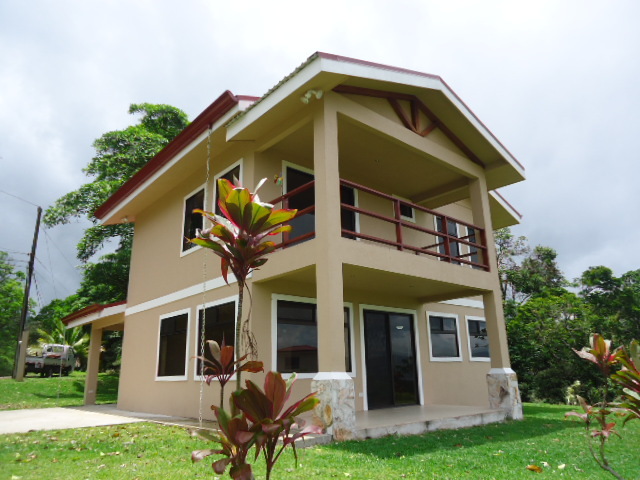 Located in a quiet naturally beautiful area close to Nuevo Arenal. House is located in a small community of some 30 new homes and homesites. Stunning expansive lake views from your patio terrace and master bedroom balcony. There is a 150 year old Higueron shade tree in the back yard area of the house, and a abundant wildlife at your doorstep. This property is situated close to Las Flores, Nuevo Arenal and many tourist attractions and conveniences. Lake Cote, Lake Arenal sports activities, waterfalls, volcanos, hot springs, river kayaking, rainforests, zip lining, national parks, yoga-health and wellness retreats, sustainable energy, and organic farming. Property is just a short 2 hour drive to Guanacaste beaches like Coco and Hermosa. Did you say it wes fully furnished? Any HOA or maintainance fees? Annual taxes? Hello M Celli, Please fill out the contact form of our realtor Tom Molloy to get in contact with him, He will be able to provide you with more details about this property. Hello Donna, thank you for your message, We just sent your request to our recommended realtor Thomas Molloy, he will be in contact with you shortly. Hello Jim, thank you for your message, We just sent your request to our recommended realtor Tom Molloy , He will be in contact with you shortly.